With 15,000+ citizen scientists contributing to CycloneCenter.org, we have more than thirty thousand eyes searching through satellite data. So far, everyone has provided input on almost 50,000 images. As we begin to sift through all the responses, one task is to determine the storm type (eye, shear, embedded center or curved band) of each image from all the responses. The eye images seem to make up about 8% of our images so far. The image below is a collection of some of the images identified as eye scenes by the citizen scientists. This is only a small portion of what we have, but it shows great progress. Images identified as Eye scenes by citizen scientists. This contains only 391 of the ~4500 eye images identified. 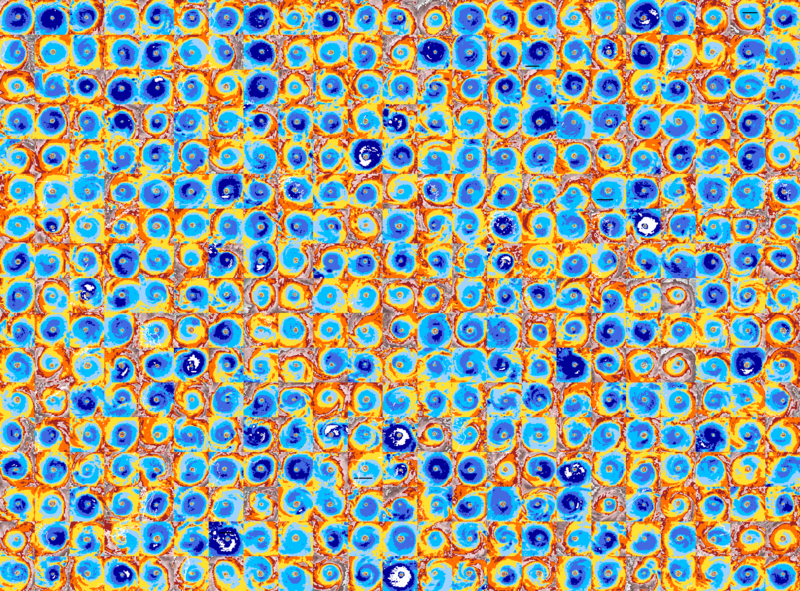 So, 30,000 human eyes have found 4500 storm eyes.